The modern SUV has evolved from a basic recreational vehicle to a ride that opens up a whole new world of adventure for its drivers. With the 2017 Jeep Grand Cherokee, you can enjoy endless luxurious drives as well as thrilling off-road expeditions. Truly, this Jeep in El Paso can satisfy your appetite for excitement and so much more. 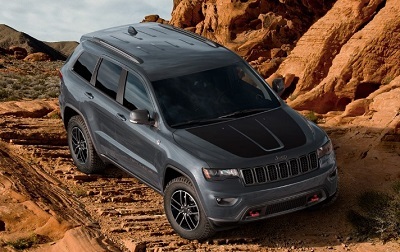 If you’re the daredevil type of driver, then the 2017 Jeep Grand Cherokee Trailhawk is the perfect model for you. Eye-catching exterior highlights include 18 inch alloy wheels, gunmetal details on the doors and mirrors, and a matte black hood that reduces glare for better driving on the open roads. As a 4×4 rated SUV, you can expect improved performance on rough trails thanks to its skid plates and Quadra Lift air suspension. Read more from this blog. Posted on December 19, 2016 by CedrickPosted in BusinessTagged dealerships, features, highlight, jeep, paso.